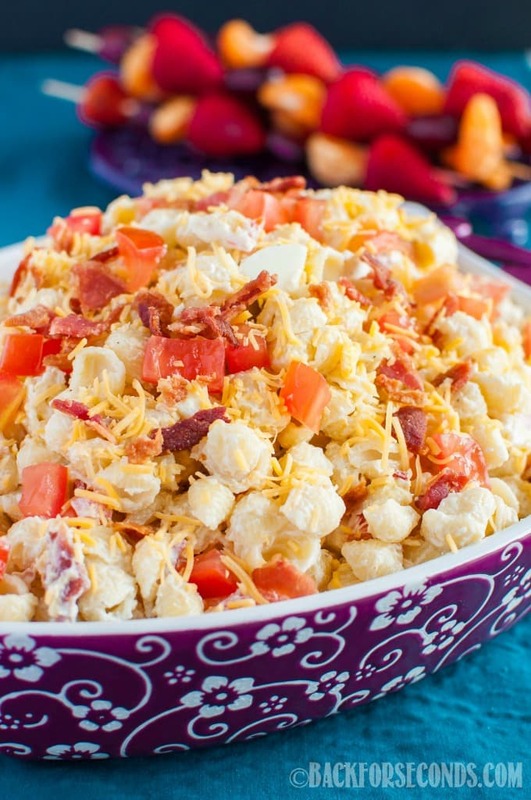 This is The BEST Creamy Pasta Salad ever, loaded with bacon and cheese! Our favorite side dish for spring and summer, and great for potlucks and cookouts! Thanks to Tum-E Yummies for sponsoring this post! Don’t worry, all opinions are 100% my own! 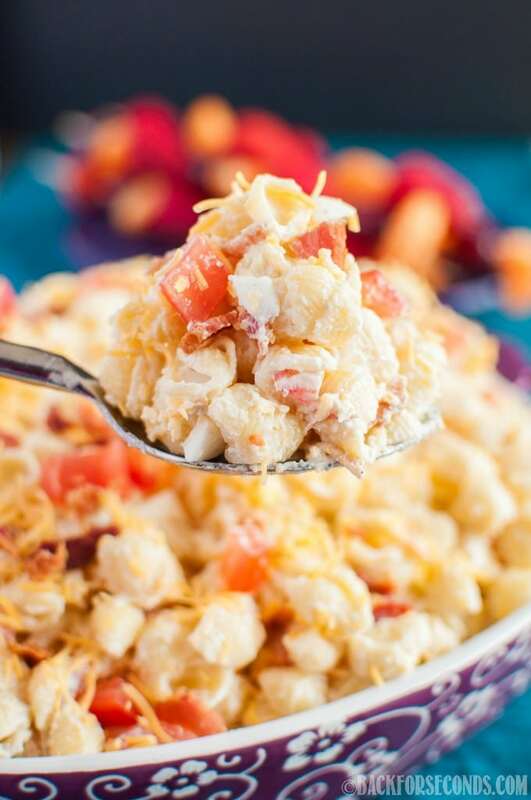 This creamy, cheesy, bacon-y pasta salad is our favorite! My kids are the ones who chose all the add-ins, so you know it’s kid approved! And as far as I know, anything with cheese, bacon, and pasta gets the thumbs up form everyone who likes delicious food! Perfect for your next cookout! But I will take care of the sides, drinks, and dessert! Ok, drinks! 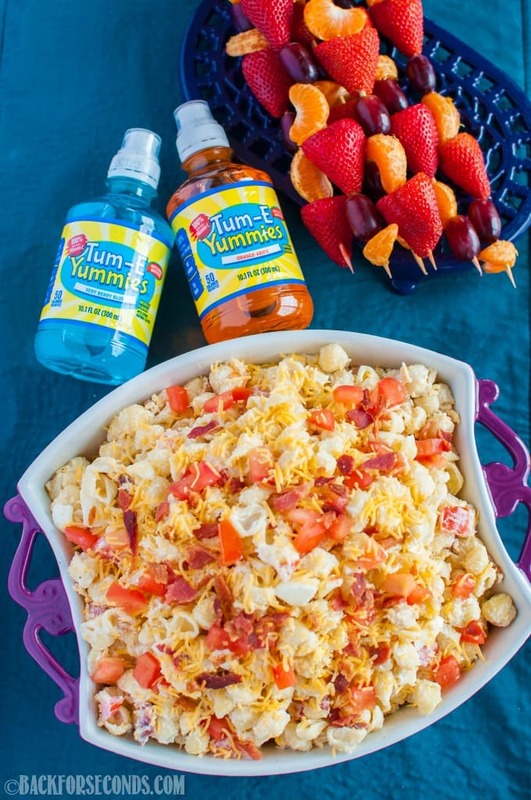 My kid’s new favorite is Tum-E Yummies. Have you tried it yet? It’s a fruit flavored water beverage. The favorite flavor seems to be Orange-arific with Greentastic Apple coming in a close second. The other 3 flavors are: Very Berry Blue, Fruitabulous Punch, and Sour-sational Raspberry. 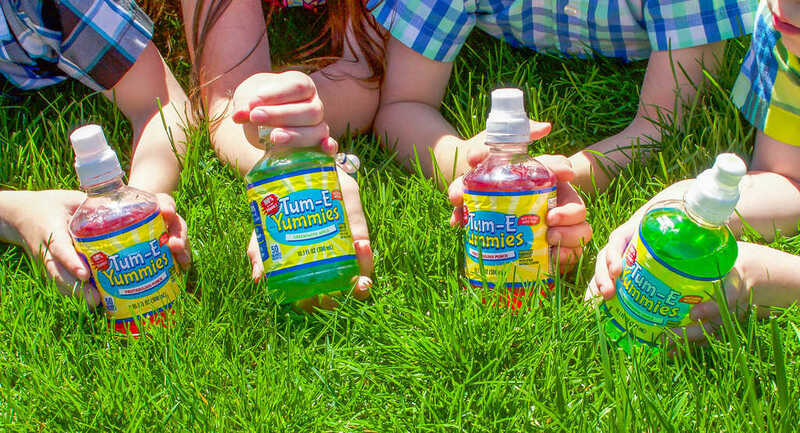 All Tum-E Yummies flavors have 100% daily value vitamin C, B6, B12 and only 50 calories, 13g of sugar and no sodium! 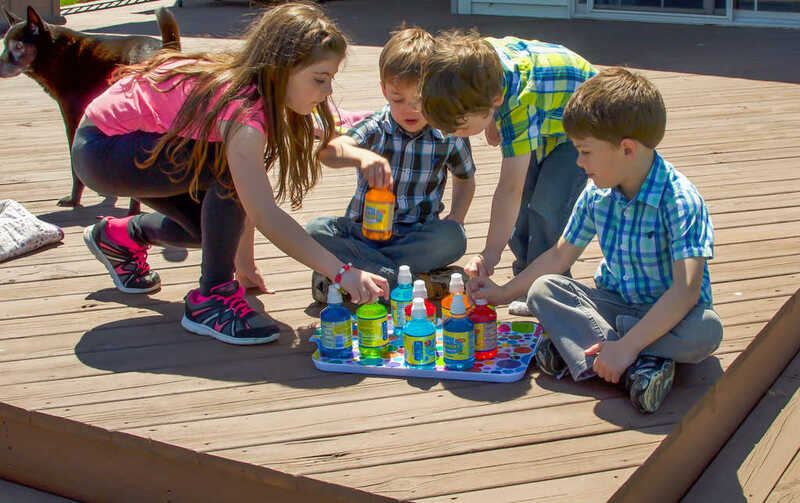 My kids love having their own bottle of juice in their favorite color. I am just happy they make these with spill-proof sport caps!! I know you moms out there are with me on this one! You can bring them in the car and not worry about juice spilling everywhere! We love making fruit kabobs for cookouts as well! The kids love anything on a stick, so we just run to the farmer’s market or grocery store and pick up the favorites. Currently strawberries, grapes, and cuties. Just peel the cuties and cut off the stems of the strawberries, then put them on a stick – or better yet, have your kids help with this part! For more outdoor celebration ideas, follow Tum-E Yummies on Facebook, Instagram, and Pinterest! 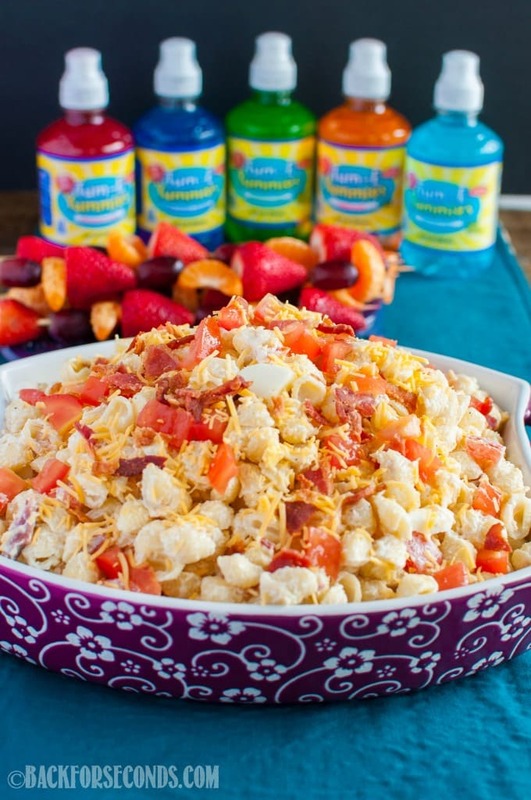 Pasta salad with bacon and cheese?? I’ll take a double portion, please! It’s hard to go wrong with bacon and cheese! YUMMM.